To get me through the summer I’ve had a sort of project plan, or rather two: one for sewing and one for knitting. The sewing plan is so horribly behind schedule that I now need to abandon it, to make way for winter sewing and Christmas production. But even so, I’ve completed a couple of things on it that I’m really proud of and it’s helped to focus my mind and prioritise a bit. 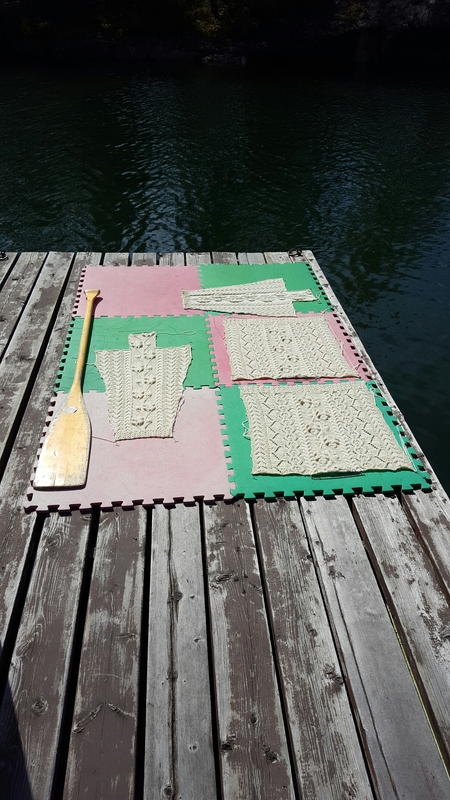 In Toronto in July I bought some gorgeous Koigu yarn at Ewe Knit with a voucher from my aunt. 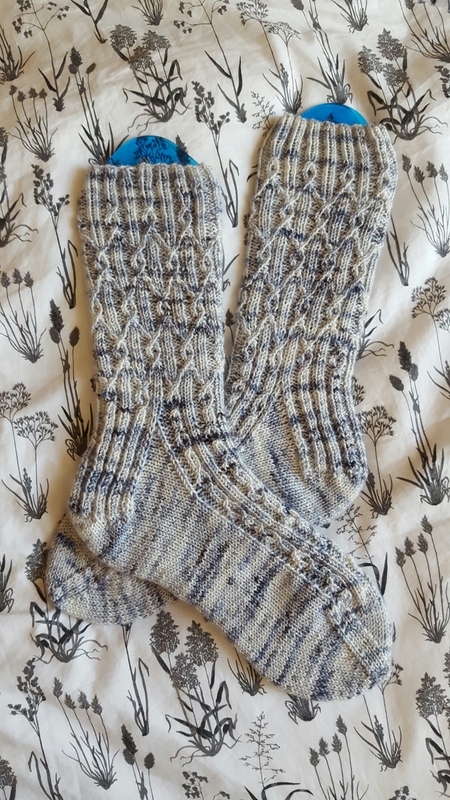 It was just too tempting to throw myself in, so I threw caution to the wind, sidestepped my carefully planned schedule, and cast on a pair of Thornfield Socks. 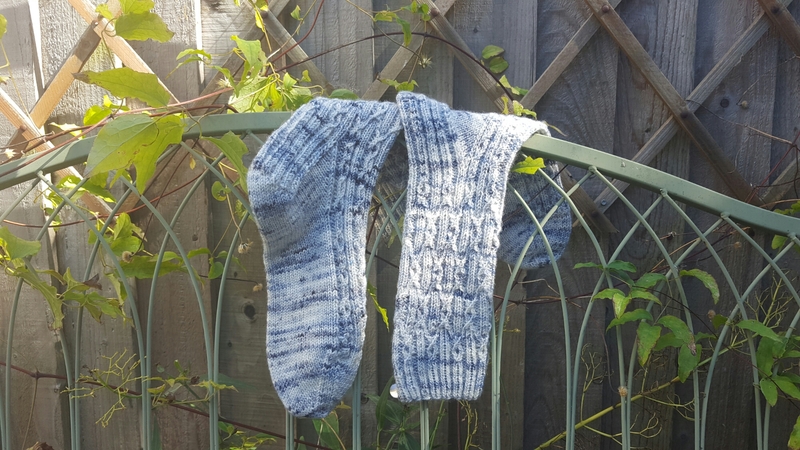 I was initially worried that the yarn variegation and the cables wouldn’t get on very well, but I think these have turned out beautifully, particularly after blocking (with new sock blockers from the Wool Croft!). 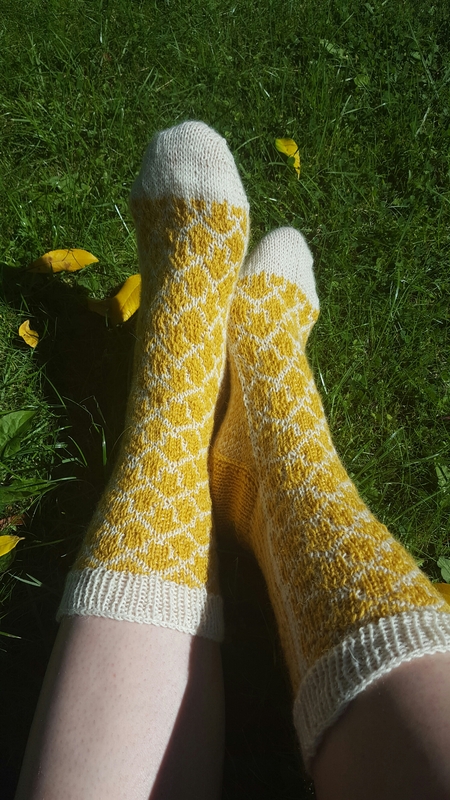 Probably everyone but me already knew about Rachel Coopey’s incredible sock patterns, but when I discovered her stall at Wonderwool this winter I was smitten. This is the first design of hers I’ve made, and I love them. So anyway, back to the project plan. 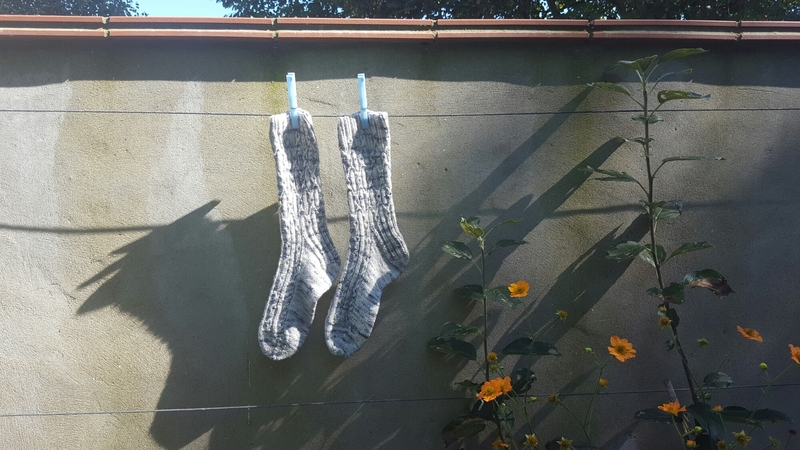 The socks I completed on 30 August were these Arrow Socks by Makiho Negishi. 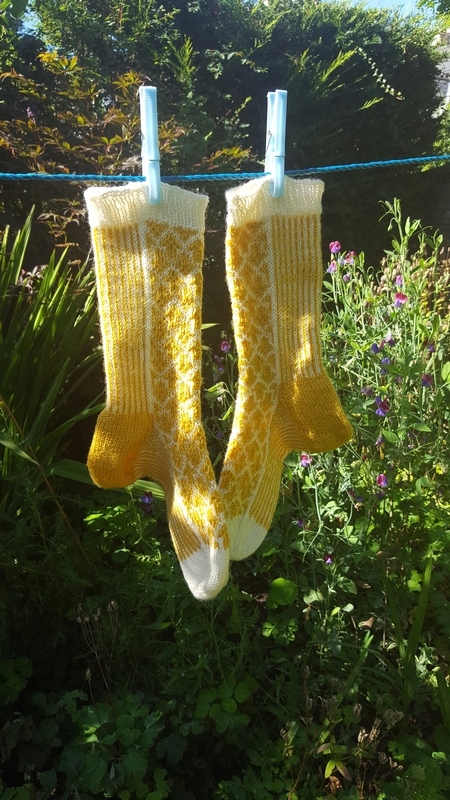 I still don’t think my stranded knitting is perfect, and I wish I’d used the yellow as the top colour rather than the white when carrying floats, but all in all I’m pretty pleased with myself! Two Japanese patterns with no English help completed in one summer. Not bad. 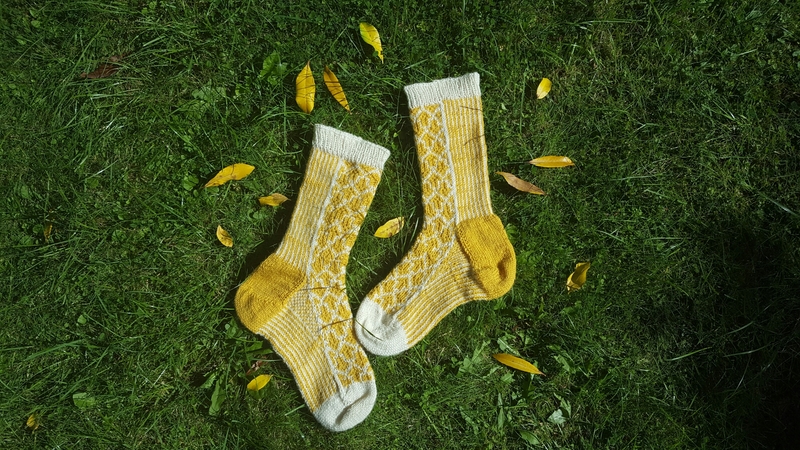 A few years ago I found out about Toshiyuki Shimada’s book, New Style of Heirloom Knitting. 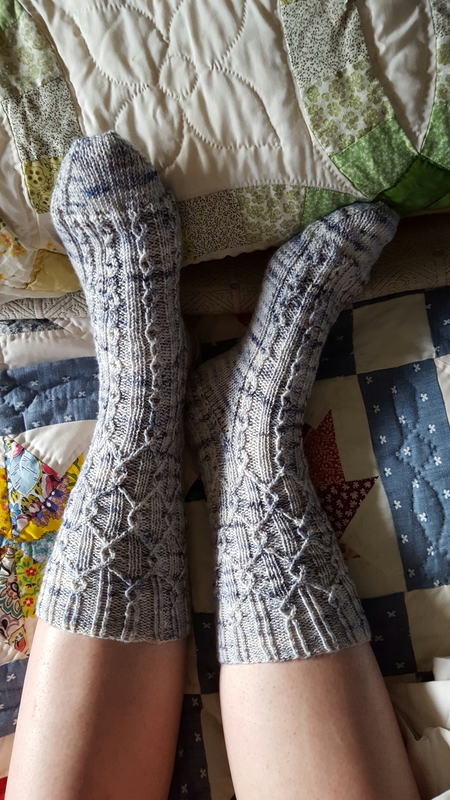 Although written in Japanese and out of print, I became determined to get my paws on a copy, and eventually tracked one down on Ravelry forums in Canada. Every single page of this book is brilliant, from the incomprehensible essays accompanied by shots of vintage boots and scenes of Scotland or Norway as seen through Japanese eyes, through to the patterns themselves, and even the technical instructions. In particular two patterns stood out to me: Poème (which was the pattern that led me to this book in the first place), and Herbstlied. 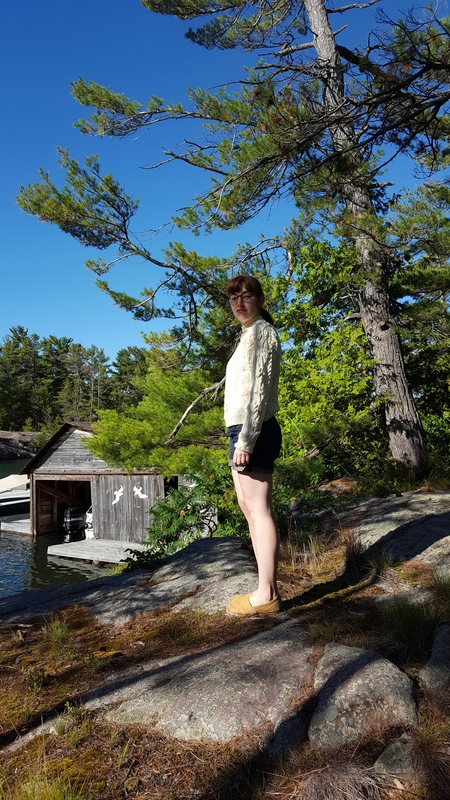 Last summer the stars aligned in the Liberty sale, when I nabbed a whole bag of discontinued Rowan yarn in an off-white colour, perfect for my oak forest sweater. 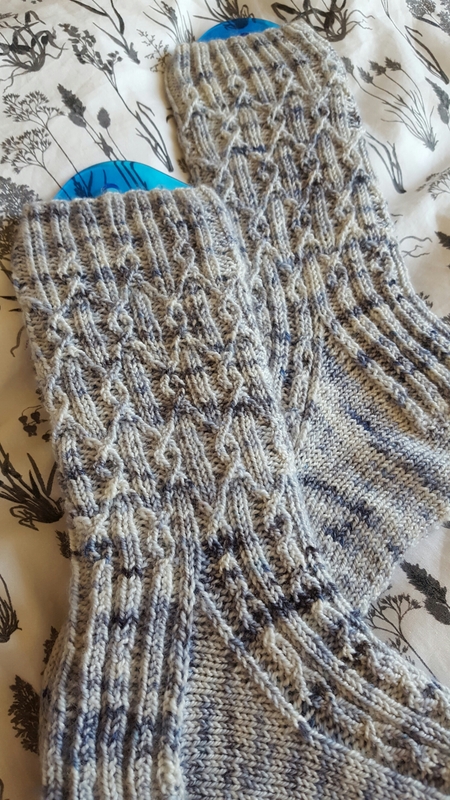 After consultation with various sources (detailed on my Ravelry project page) plus a head-scratching and cake session with my lovely Japanese-speaking friend Heenali, I was ready to cast on. 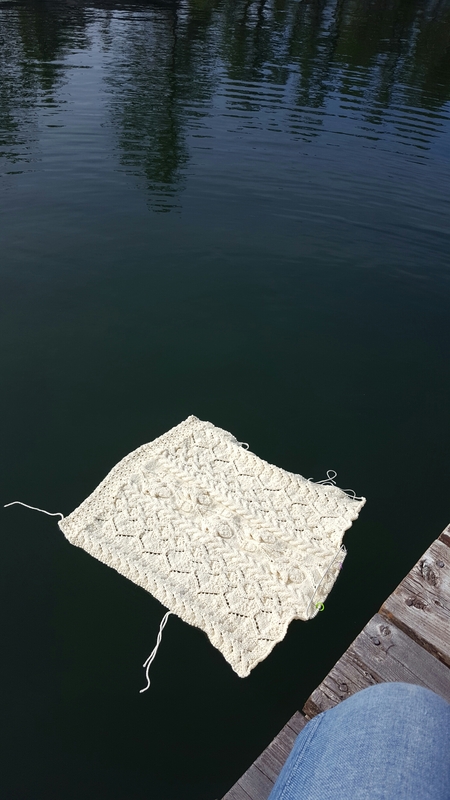 I knitted on trains, buses, Tubes, at lunchtime, on weekends, and slowly the sweater started to grow. There was a hiatus in April and May for my MSc exams, but by then front and back were completed. 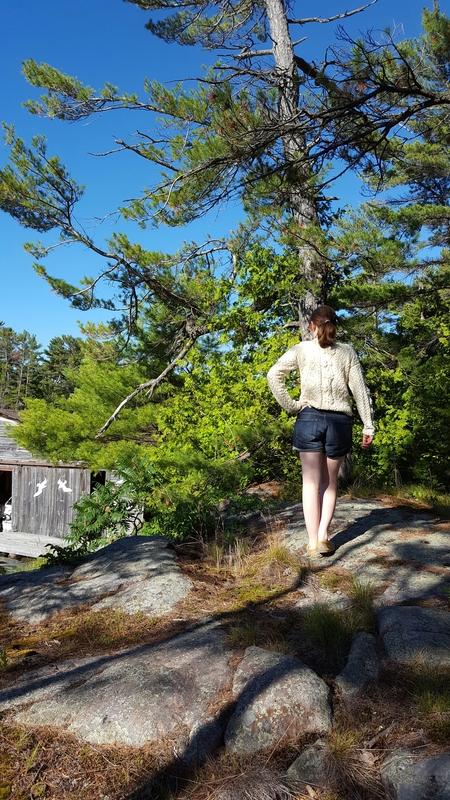 Over the summer the sleeves crept towards completion, and finally, over a few rainy and solitary evenings on an island in Canada, I finished it. I’m in love with this sweater. OK there are a few errors in the construction, but I don’t care. 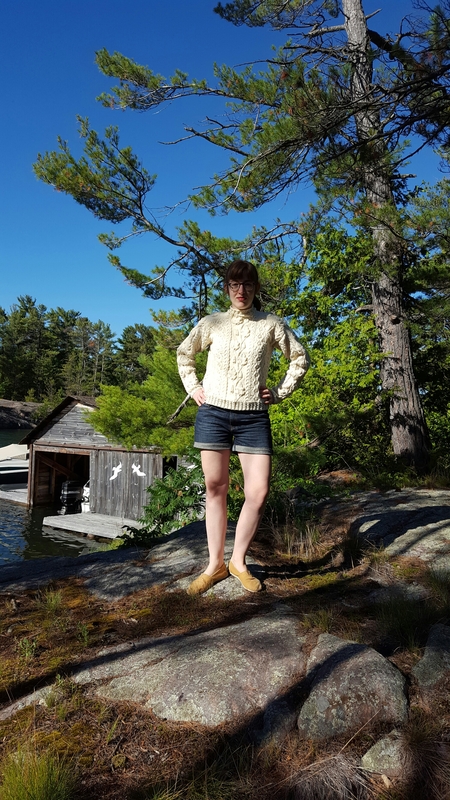 It fits, it’s gorgeous, it’s the first proper sweater I’ve ever made myself. I’m just really proud of it. Wearing it brings me right back to the forest it was finished in, as a bonus it also smells of the lake, in which it was blocked. Forest associations for a forest sweater. This sweater has been a masterclass in the value of making what you want, not what’s easy. A lot of brain power went into this sweater, sometimes I had to unpick. I learned a lot.